The new LIFE 2018 call for proposals was presented on May 9, during the Regional Infoday conference . The event was organized by REDIT and the Valencian Chamber of Commerce and held in the Technology Park in Paterna (Valencia) . Additionally, eighteen participants from previous LIFE proposals presented their projects, including LIFE BACTIWATER and LIFE Ecodigestion. 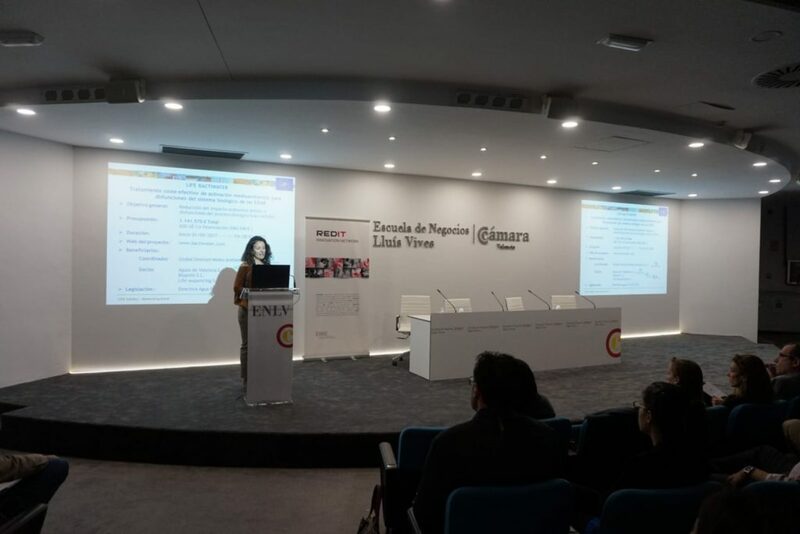 The target audience of the Conference consisted of companies, public bodies and entities of the Valencian Community interested in proposals and participation in projects susceptible to receive financial support from the European Commission programme .